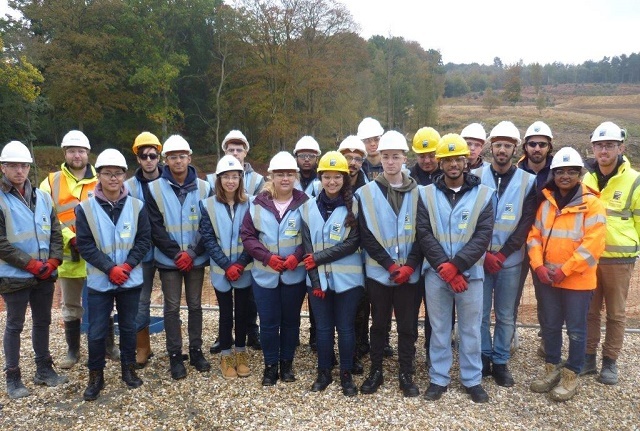 Taking place last Monday (24 Oct), around 45 students visited the Clay’s Lake site where flood prevention works are being carried out on by Mackley working as part of Team Van Oord and on behalf of the Environment Agency. 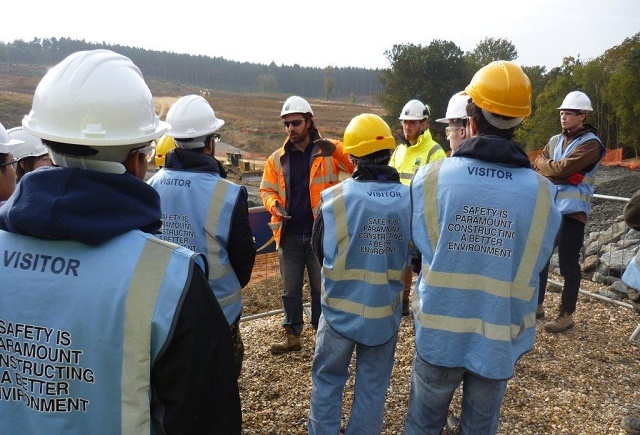 The visit formed part of Mackley’s ongoing commitment to providing aspiring civil engineers with real life experience, and was designed to help the students develop their understanding of how theoretical practice is applied in a working environment. The students praised the approachability of the site team, the detail covered during the visit and the way in which works are carried out so as to protect the local environment. Elliot Batty gave “special thanks to Dan and his team who ran the visit well and gave the students a taste of what is expected on a construction site”, before adding, “everyone enjoyed it, and will have taken a lot from it”.